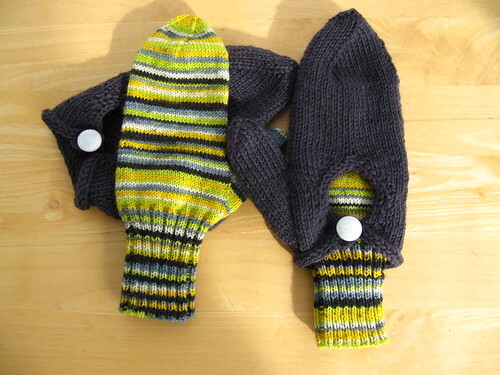 I took a break from the squirrel mittens to make a pair of Dimorphous Mittens. This is such a clever pattern! I used an Addi US1.5 needle to knit the inner mittens two-at-a-time. 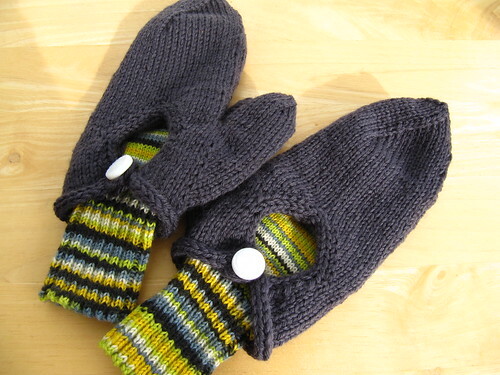 I used my new set of Addi Click needles to knit the outer mittens two-at-a-time. The buttons are from the Mall of St Paul, which is my new favorite source for buttons. They have fantastic vintage buttons at really reasonable prices - the two I used here cost only 50 cents each.